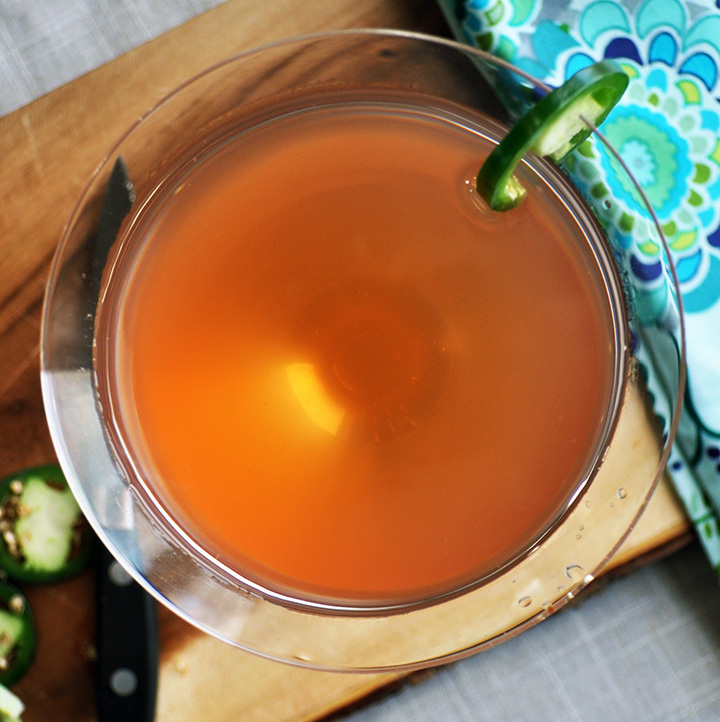 If you like sweet and spicy flavor combinations, this is your cocktail. 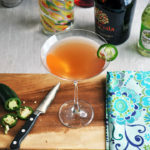 Mango vodka is infused with fresh jalapeño then topped off with orange liquor, sweet lime juice, and a dash of Campari. 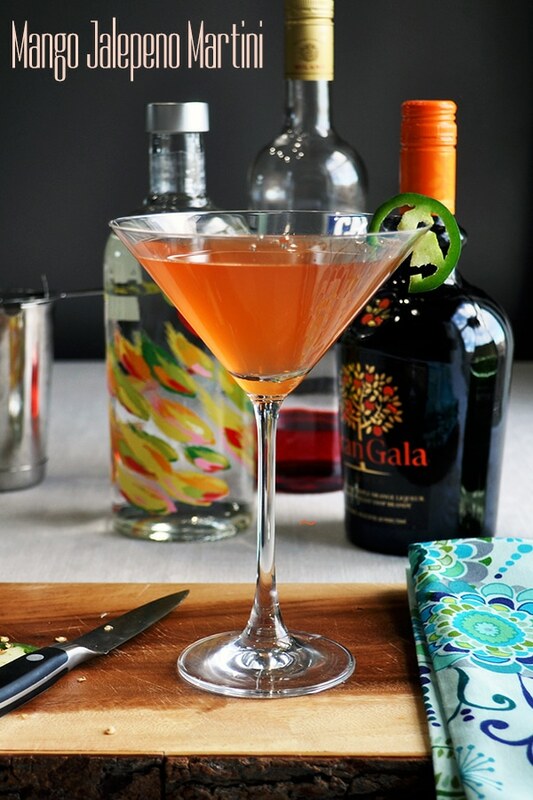 In a cocktail shaker, add the mango vodka and slices of jalapeño. Muddle the jalapeño to release its flavor into the vodka. Add the remaining ingredients and fill the cocktail shaker with ice. Shake vigorously for at least 30 seconds. 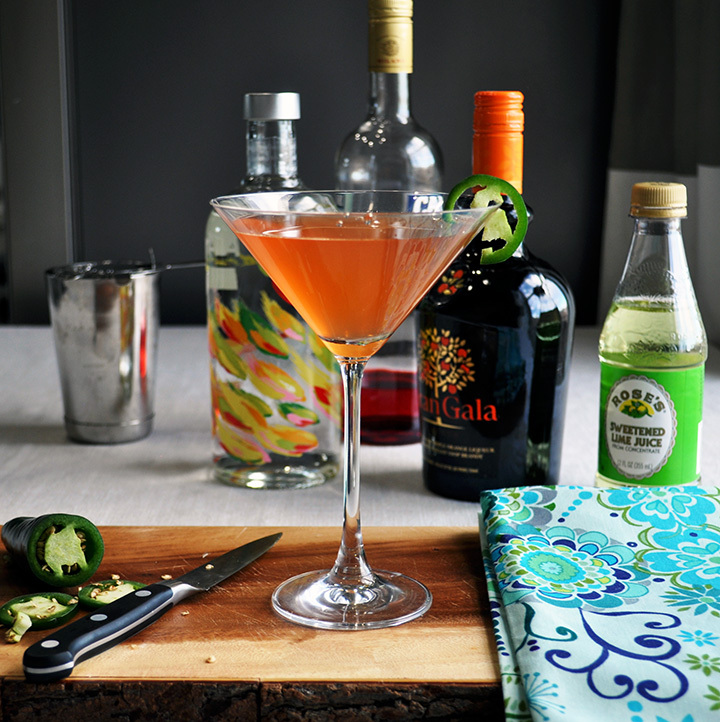 Pour into 2 martini glasses, garnish with another slice of jalapeño if you like, and serve.